Unless a home is in an age-restricted retirement community, all Arizona MLS listings specify neighborhood elementary, middle and high schools whose boundaries encompass the home for sale. 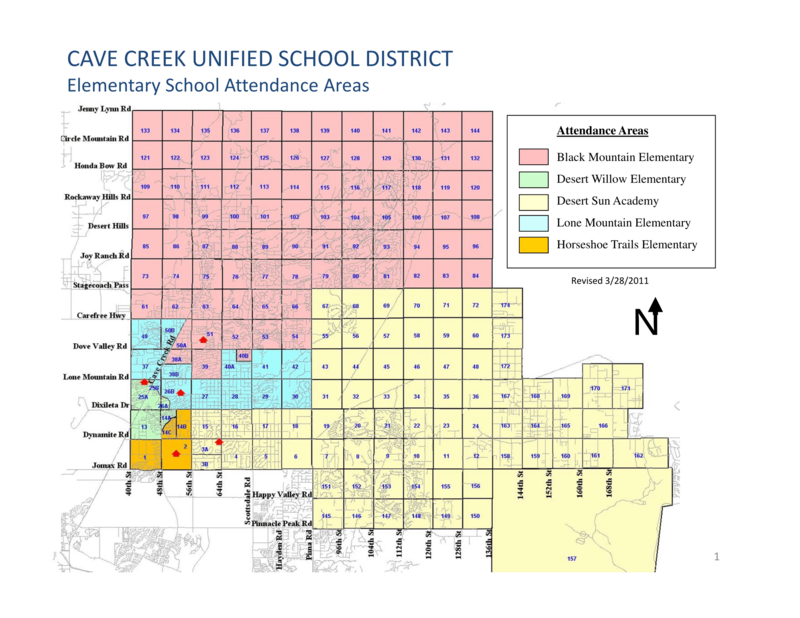 If schools are an important factor in selecting a home to purchase, refer to the attached Cave Creek Unified School District school boundary maps to confirm the MLS listing has correctly stated the neighborhood schools. Parents also have the option of applying for permission to enroll their children at another school in the district or a charter school. See the list of Maricopa County Charter Schools under School Rating tab at the top of the page. 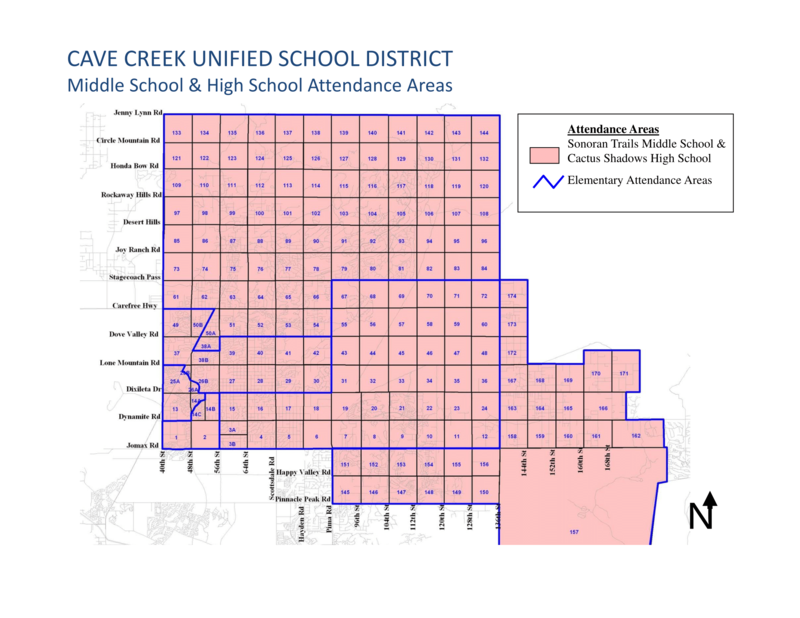 CLICK on the individual school map and then CLICK again to enlarge the specific area of interest for more detail.